Dance India Dance Li’l Masters is one of India’s most favorite talent show. It is regardless to say that it has given India some of its best childhood dance talents. It is not unknown a fact that ever since the beginning of this show, people have gone crazy by looking at the young talents of India putting up such great dances and performances. People wait for the onset of the new season of Dance India Dance more than any soap operas and the saas-bahu serial. It is even legitimate to say so because looking at such young talents dancing to the greatest songs of all the time in front of our industry’s biggest legends is one heck of a feeling. These little children aged from as low as 8 years to middle-aged teenagers have given inspiration to many hidden talents still sitting at their homes in front of the television. There is hardly anyone who is not euphoric to realize the very fact that these young dancers are much more talented than we’ll ever be. Walking its way to season 5 this coming year, the Dance India Dance platform has given us four of the most talented and much deserving young dancers who have a wonderful talent. I am sure that most you might already know the four super talented young dancers who have won the respected seasons, but do you know much about their personal life? If Not then read below and discover some unknown facts about your heroic young winners of the Dance India Dance Season- 1, 2, 3 and 4. Born on 28 August 1999, Jeetumoni Kalita is the most energetic contemporary dancer you will ever see. He was only eleven years old when he won the first season of India’s best dance show for kids. He was born in Guwahati, Assam and goes to Railway Higher Secondary School. He continues his dance practice there in his school while studying and being a scholar himself. What wooed the brains and hearts of the judges and his viewers were the versatile dance forms that he incorporated in contemporary style. He displayed an array of emotions in his dance performances ranging from deep hurt to jolly romantic without even speaking a word or understanding these emotions at that tender age. Apart from contemporary style of dance, he is also a perfectionist in Cha-Cha dance style, Russian Folk dance, and Hip-Hop. 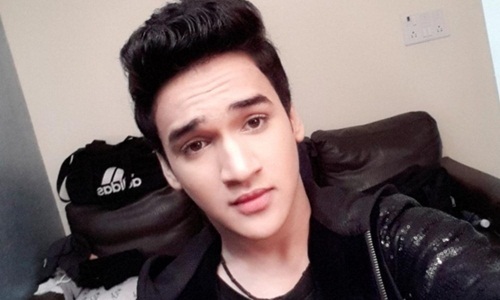 Before winning the hearts of his judges and viewers by winning the Dance India Dance season 2, Faisal Khan was also one of the most famous child actors on the silver screen. By portraying the young Maharana Pratap, we weren’t prepared to see more of A-grade Faisal Khan talent just already. Born on 30 January 1999 in Circa, Mumbai, Faisal is a multi-talented actor and dancer. His acting marvels hadn’t yet stopped circling around when he showed the world his hidden talent of break dancing and every dance form that you can think of! He is a trained Classical and Freestyle dancer along with being incredibly good at break dancing. It is only safe to say that the viewers were not ready to say him a goodbye just already; we all wish to see more of his dancing now that he is all grown up adult. If you were to call her anything then she is a heartthrob. Filled with impeccable energy and expressions, her aesthetic is unforgettable. Born on 12 August 2002 in Rudrapur district of Nepal, Teriya Magar is a stand out talent. Currently living in Navi Mumbai, Teriya goes to St. Lawrence School where she continues to put forth her dancing marvels. Apart from winning the DID Li’l Masters, Teriya has also won Jhalak Dikhla Jaa season 9 in 2017 with even more talent and energy. It is safe to say that parents of Teriya Magar are more than just proud to have Teriya as their daughter who is one of the most famous child dancers in India. We wish to see more of her energetic dance performances in more dance shows and see her win them, too. Looking at the winners of previous three Dance India Dance li’l masters winners, we are even more excited to wait for the season four winner. It is safe to say that the neck to neck competition in young talent we see on the stage today is pretty impressive and appreciable. I am missing not even a single episode of the season 4, make sure you are tuned and watch every episode and vote for your favorite performer.